One page, two companies to promote. 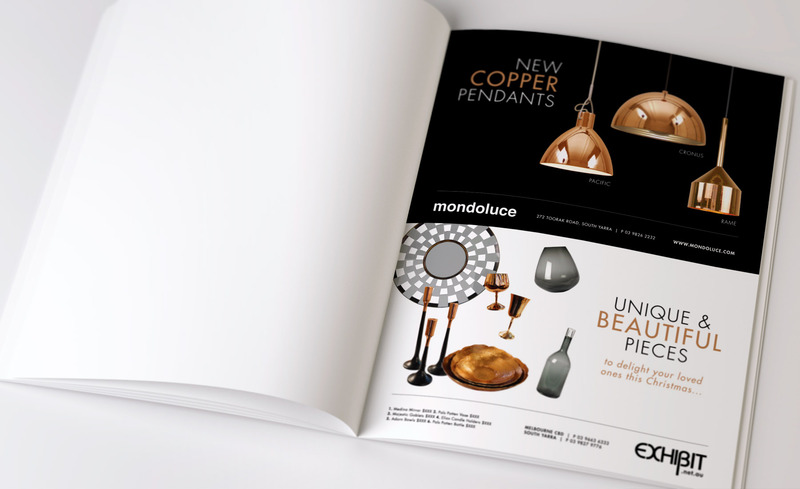 Mondo Luce and Exhibit Interiors, both part of the Studio Italia group, were assigned half a page each in December’s HomeStyle magazine. Inspired by yin and yang, our aim was to separate the two brands but have them complement each other at the same time. 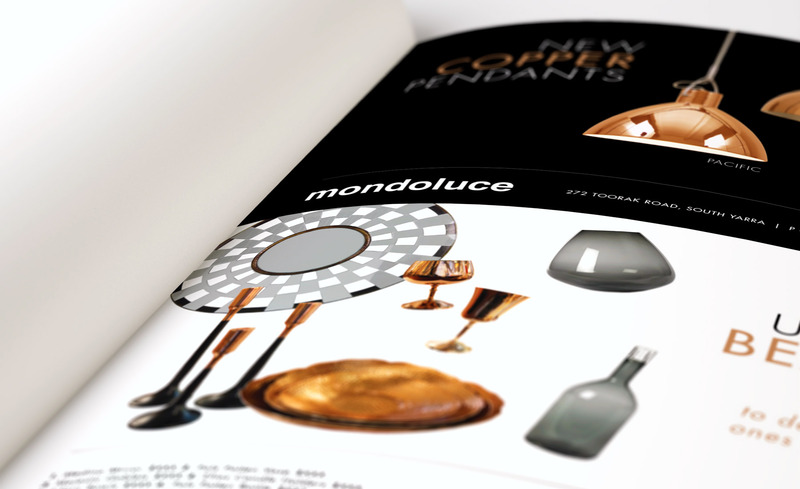 We used copper as a common theme and accent colour to achieve this.